Though 10 to 20 pounds doesn’t sound like a whole lot of pounds to shed, research shows it’s enough to achieve significant health benefits, from lowering blood pressure, to correcting abnormal lipids, and lowering blood glucose for those with metabolic syndrome, prediabetes and/or type 2 diabetes. And to stop taking one, two or more medications for weight-related conditions or not have to start taking them in the first place. A tidbit to factor into this math. The average adult now gains 1 to 2 pounds of weight a year. So if you lose weight and keep most of those pounds off over the years, you’ll be even further below the anticipated adult weight gain curve. Studies, now numerous, show that once you’ve hit your maximum weight loss at that six month to1 year mark, the fight to prevent the pounds from reattaching to your hips, thighs or elsewhere is on. Why? Research is revealing more reasons why and THE TRUTHS are leaking out. My intention is to continue to shout about these TRUTHS because they’re kept all too quiet in the commercial weight loss world and they are oh so important to get out. Accumulating research is showing that our bodies are physiologically set up to pack those lost pounds back on despite continued support from experts and the efforts of the individual weight watcher. No doubt, our obesigenic environment doesn't help one little bit. Putting the padding back on is the body’s survival instincts at work…survival of the fattest. We've been fine-tuning this instinct for a very long time. While hearing this research is downright disheartening, and it’s not my nature to be disheartening, I believe it's critically important for people attempting to shed pounds understand THE TRUTHS, both about losing weight and even more importantly, how to best keep those lost pounds off. Once you’ve lost weight your body conspires against you to put the pounds right back on. To have any chance at keeping pounds off you can’t go back to your old eating habits and calorie load. Muscles become more efficient at using fewer calories. Changes occur in the brain. People seem to have less restraint around food, meaning it’s hard to resist foods if they’re around. People are less discriminating about foods, meaning they’re willing to eat items that weren’t necessarily tasty to them before. Third, people seem to have a decreased perception of fullness. Changes in thyroid function decrease the calories burned. Experts estimate that people need 300 to 400 (or 22%) fewer calories per day to maintain their new weight. That’s a goodly percent of calories. Consider you used to need 1500 to 1800 perday, that’s down to about 1200 to 1400 calories. Big difference! Quite a few research-based strategies can help! 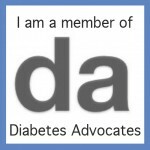 Several have been culled from the National Weight Control Registry (NWCR), others from long term weight control studies from my diabetes-focused world (the Diabetes Prevention Program, the Look AHEAD Trial) noted above and others from learning from experts. Be clear on your long range motivators: Make sure you got more to gain from keeping the pounds off long term. To live healthier? Prevent diseases you’re at risk for? See your children and/or grandchildren grow up? Or?? Believe in your abilities to master weight control: Loose the self-doubt, develop a strong will and can-do attitude. Be physically active: Research from NWCR shows that people who’ve successfully kept weight off exercise 60 to 90 minutes a day. Yes, that’s a lot! Fitting it in is a challenge. Develop and execute a plan. Experts suggest that you do both aerobic activity, such as walking, running, swimming as well as resistance training 2 to 3 days a week. Simplify your eating plan, minimize your food choices: Because of the brain changes noted above, you may not have the will power not to eat certain foods. So, don’t bring them into the house. Set rules for yourself to control your food options and amounts. Perhaps you only have dessert at the end of a restaurant meal or at an ice cream shop and don’t let desserts across the threshold of your home. At social events place yourself as far from the food as possible. Search for and implement the techniques that work for you. Develop stress management and coping skills which don’t include medicating yourself with food: There WILL be ups and downs in life. Your ability to manage these stresses without using food will factor heavily into your success. 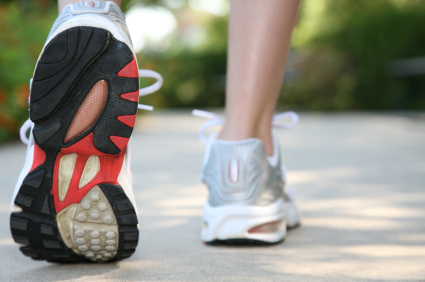 Track your progress: Yes that means record what you eat, how much activity you do and more. Suffice to say as much as record keeping is a pain, studies regularly support their importance. 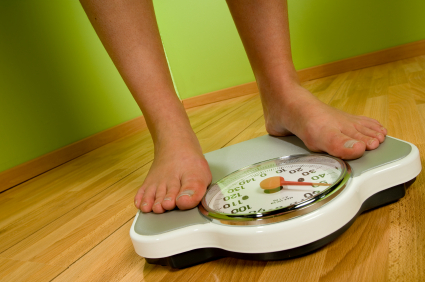 Weigh yourself regularly: Know your weight by weighing often. Figure out how often is right for you. Don’t let the pounds creep on. Stop any creep up the scale ASAP and have a relapse prevention plan to put into action ASAP. It’s so easy to let pounds add up, five, then ten. Then it’s a slippery slope into a negative failure mindset and march up the scale tailspin. Develop a relapse prevention plan: Have a plan in mind before you need it. Put it into action as soon as a few pounds on the scale stare you down. Put a support system in place: Continuous support is a must. What’s your plan to get regular support? Will you partner with a workmate, friend or your spouse? Continue with your weight loss program, online chats, or?? Today there are more options than ever. Yes, keeping weight off is tough work. When and if you tackle weight loss, don't minimize the real and tough challenges of keeping lost pounds off. The good news is research shows the longer you work at keeping those pounds at bay over time your new healthy habits will solidify and your old unhealthy habits will recede. Yes, the effort is well worth it for your health!